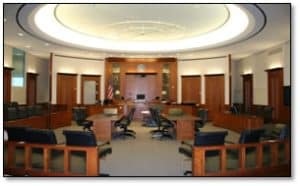 A Virginia reckless endangerment conviction for leaving a child unattended in a car is not available without proof beyond a reasonable doubt that the adult defendant responsible for the minor knew that injury would result from the defendant’s omission. Repeatedly, we see harried, and even unharried, adults leaving their too-young children all alone in the car at a shopping center, while picking up dry cleaning or a pizza, dropping off a package at the post office, and engaging in other activity that never is important enough to leave too-young children unattended. Engaging in such behavior risks becoming a criminal defendant, and a conviction. Kaniesha Shatae Hannon learned her lesson the hard way never again to leave her four-month-old child and five year old child unattended in her car. Hannon v. Virginia, __ Va. App. __ (Aug. 22, 2017). Although she won her appeal in the Virginia Court of Appeals, she first got convicted as a felon (a Class 6 felony) at a bench trial for such behavior — under Va. Code § 18.2-371.1(B) — and received two one-year suspended jail sentences, according to the Henry County online court docket. Consequently, Hannon benefitted from the timing of having her appeal decided only after the beneficial April 2017 Coomer decision came out. The practical lessons learned here are (1) nothing merits leaving such young children unattended in a car, and (2) if one is charged with reckless endangerment of a child, the merely speculative risk of harm to the child is not enough by itself to obtain a conviction.